Chivas Regal and Christian Lacroix are collaborating once again and releasing a limited edition bottle of the Chivas Regal 18 Year Old Scotch Whisky. 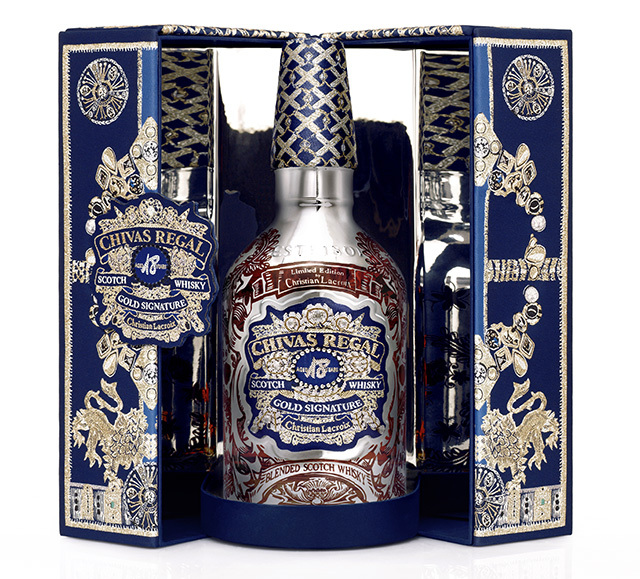 The Lacroix-designed Chivas 18-Year is limited to 3000 bottles worldwide, with only 100 available in the United States. The Lacroix Chivas 18 will be available at select retailers beginning in June 2011 at the suggested retail price of $495.